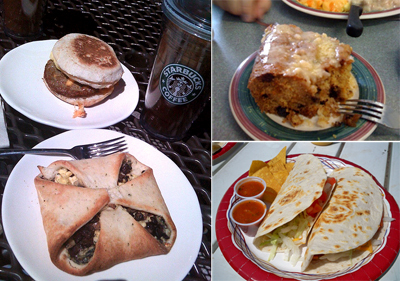 We had the new Starbuck's breakfast sandwiches (good), Jim's Restaurant coffee cake, and Public Market breakfast tacos. We had iced coffee everyday. 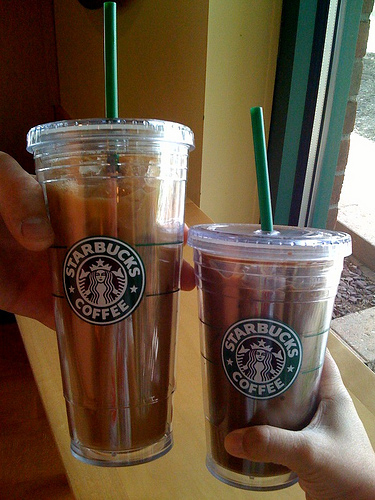 Aaron broke down and got one of the double walled cups too, only Venti sized. Aaron tore down a wall in the basement and started our basement improvement project. 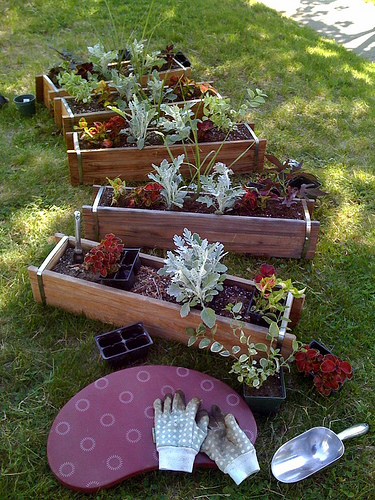 Outside, I planted our window boxes, herbs and then we planted our garden. A lot of work but we also saw "I Love You Man", "Terminator Salvation", "Night at the Museum" and watched "The Happening" on Netflix. And we didn't turn the TV on once this weekend! My husband asked me the other day: "What did we do before we had kids?? I can`t remember...". And neither could I. When I opened up my first laptop TV pretty much disappeared for me. I would watch anime online or or... I am not sure what I did, but I was in college so without TV time seemed to pass anyway. You are refreshingly as creative and cheerful as you always were.